Dining out is getting increasingly expensive, and it is difficult to find an affordable restaurant in Singapore which offers decent main courses for under S$20. Which is why Lola’s Cafe at Simon Road deserves a mention. 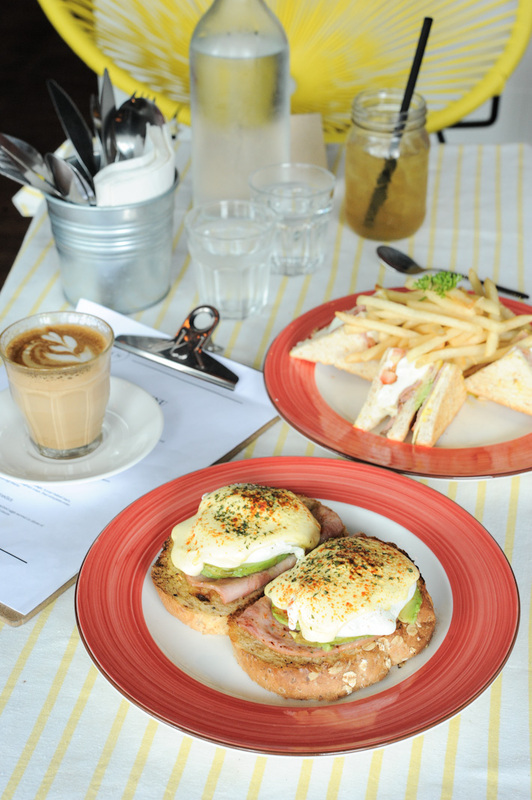 Almost all the dishes on the brunch menu (10am – 3pm) and dinner menu (6pm – 10pm) are priced below S$15 nett. 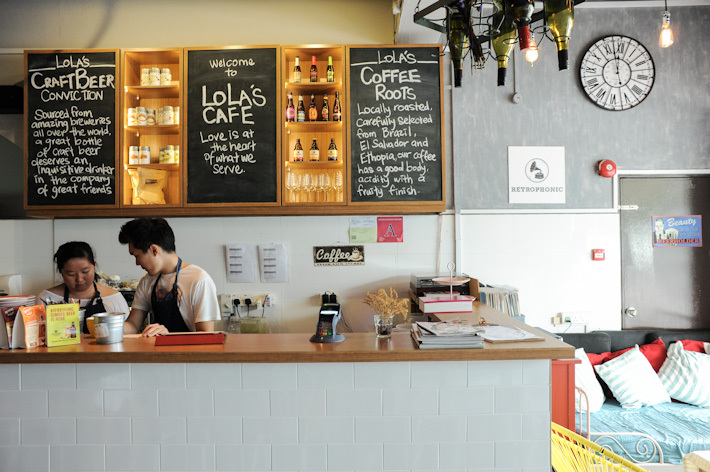 For a wallet-friendly meal, note down Lola’s Cafe. For brunch, you can have a Farmer’s Bratwurst Roll (S$8 nett), or a simple Sunny-side Stacked Sandwich. I highly recommend the Avocado Eggs Benedict (S$15 nett). The eggs were perfectly poached, and the portion was generous. On the dinner menu, there are options like Seafood Marinara (S$14 nett), Duck Leg in Orange Mustard Sauce (S$16 nett) and Spicy Grill Chicken Burger (S$14 nett). Desserts, which are baked in-house, are also very affordable. The Lemon Meringue Tart (S$4) and Dark Chocolate Sea Salt Tart (S$5) are the best way to end your meal on a sweet note. The food at Lola’s Cafe is not out-of-this-world-good, but they are more than good enough for a simple and fuss-free meal. What we really like is that it is a great hangout spot where you can linger over coffee and desserts after your meal. If you are staying in the area, you should drop by for brunch this weekend. Lola’s is a fantastic place to hang out and chill in the area. The owners are very friendly and welcoming, and you never feel the pressure to have a quick bite and get out. I always try their homemade desserts when I visit! I have tried Spicy Grill Chicken Burger there. It is quite good. Lola’s is a really very fantastic place. I went with family. Loved food as well as services.